Union Township, Michigan joined the growing ranks of college towns ratcheting up the requirements on landlords to undergo rental property inspections. City officials announced last week that new, stricter rules will apply after the first of the year. The area has a significant number of student rentals, but officials insists that student housing isn’t the only concern. Public safety issues – like mold and lead, appliances that use gas or electricity, and plumbing systems are said to be the main focus of the new inspection process. An official who will oversee the inspections indicated that the township will develop general guidelines, and tweak the process over the next several years. It has been a growing concern of landlords that the motivation behind these rental inspection programs is the fees which are generated, especially when inspections are required as frequently as when a tenant moves out, or complains. 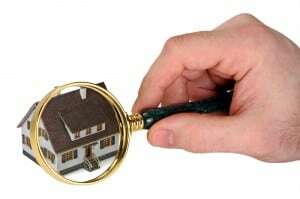 The fears are compounded when only rental properties are subject to inspection, while neighboring properties of the same age and condition are exempt. Landlords are easy targets for municipalities looking to offset budget deficiencies. In this case, officials indicate that virtually all housing, including condos and hotels, may be subject to inspections.